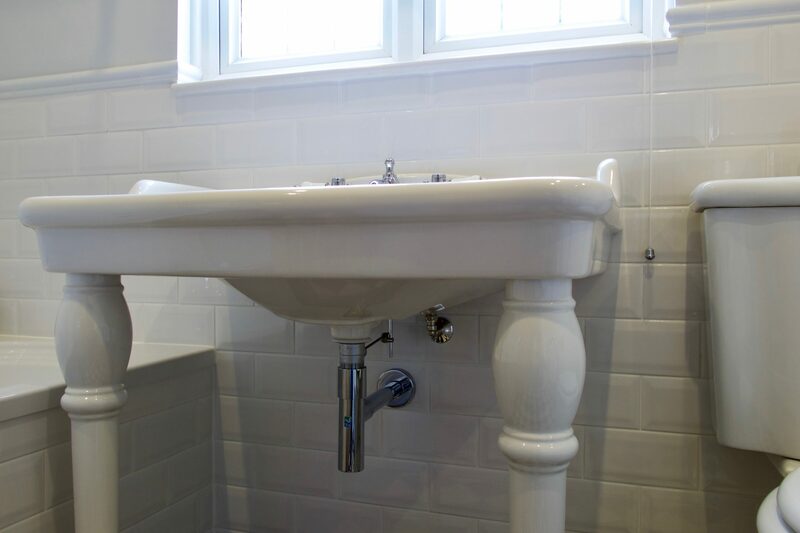 Another installation for a returning customer, this time a beautiful bathroom which made great use of the space. 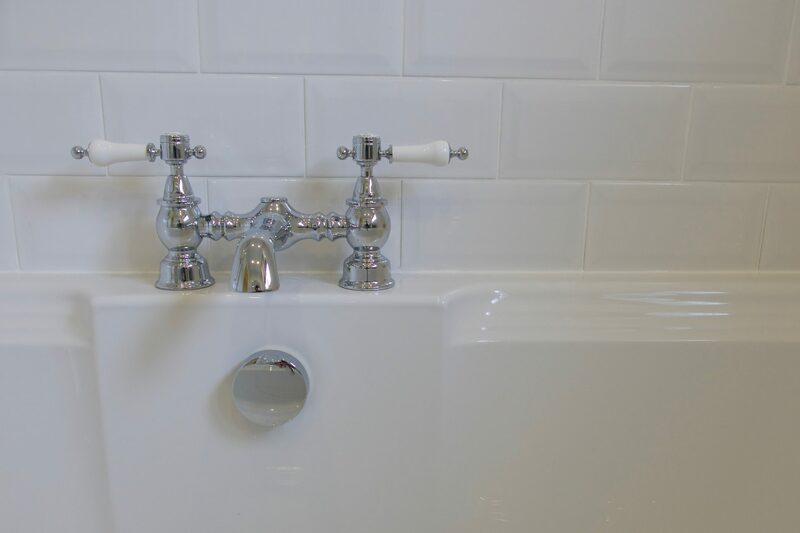 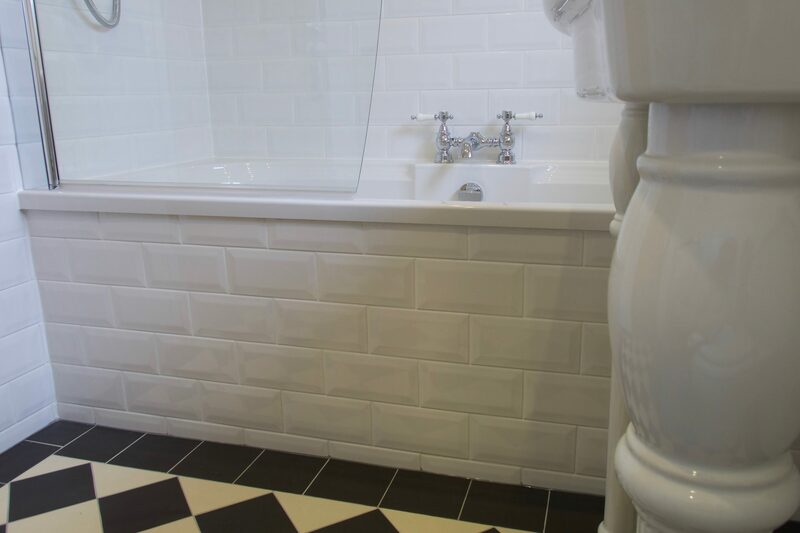 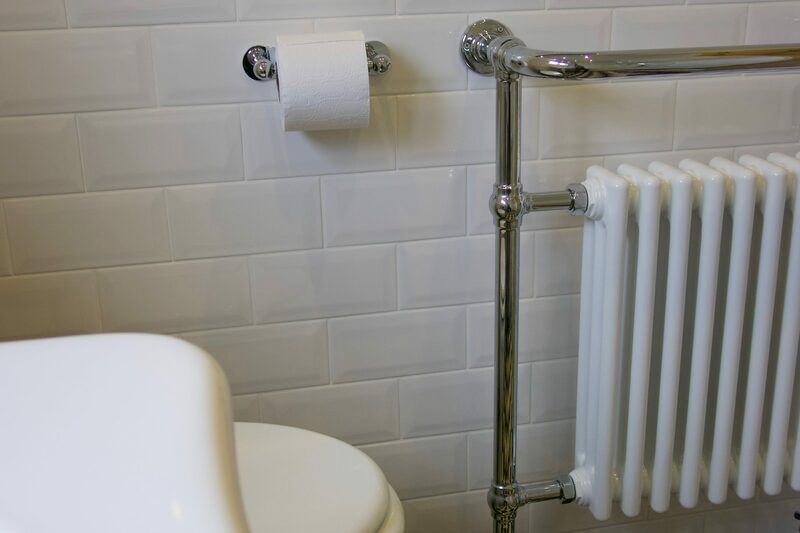 The room was stripped back to the bare walls and replaced with a Heritage traditional bathroom suite with Victorian metro tiles and Original style floor tiles. 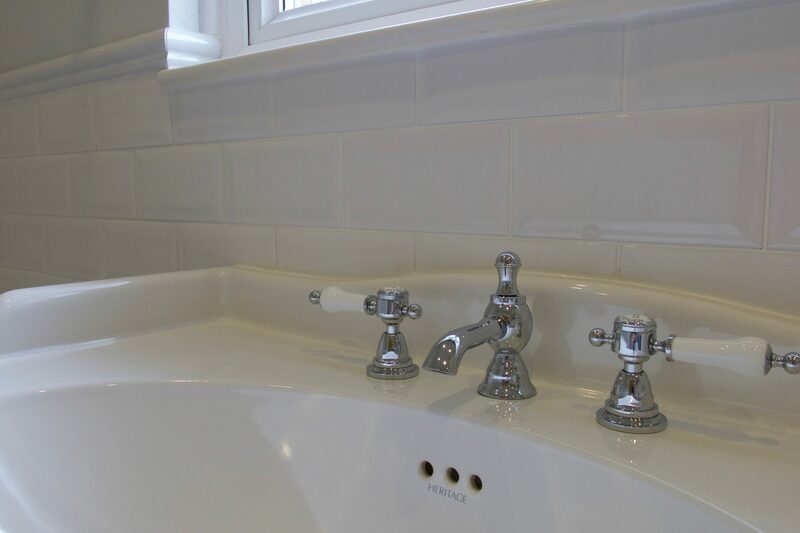 Our work involved overboarding the ceiling and then re-plastering the walls and ceiling to enable us to make a good job of fitting the relatively small wall tiles. 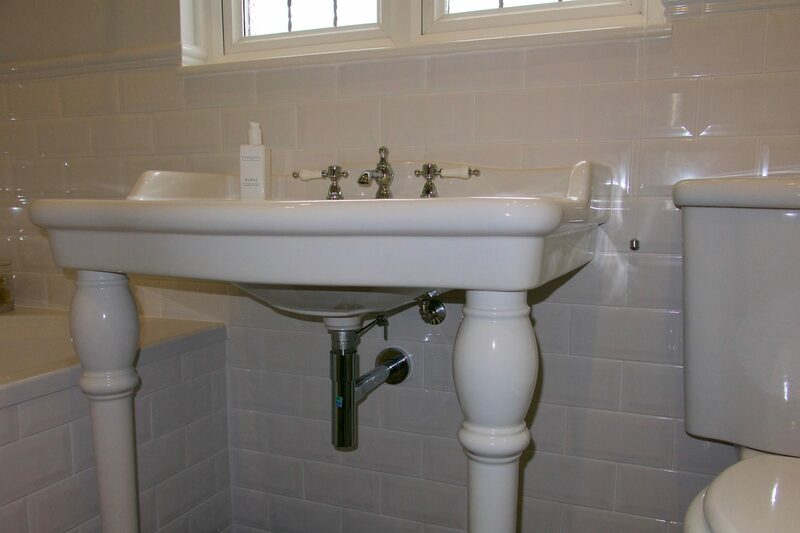 I'm sure you'll agree that the stars of the show within this room are the elegent New Victoria console basin with console legs and tap to match, and the geometric authentic victorian Original style floor tiles.